A Perfect Balance Of Quality Service And Accurate Reporting Technology. Centurion Security is a locally owned Company with headquarters based right here in Utah. Specializing in longer term security assignments, we are right here when you need us. With Centurion, you get a great advantage of having a professional locally based company that is up to date on the current local security trends, labor markets, technology, laws and rules. We know the local people, the crime seasons, trends and the Utah culture best. We are proud to be Utah’s “Proven Turn Key – Go To” Contract Security Team. Did you know that our security officers AND our security vehicles come equipped with “Real Time GPS” tracking and reporting software? On top of offering the highest quality service in the industry, Centurion Security provides our clients this added value of technology FREE OF CHARGE. Our officers utilize real time GPS to document their exact whereabouts while on your site. This technology allows you to verify that your security services are being conducted the way YOU want them to and creates an audit trail of both past and real time guard tours. Centurion provides easy to read reports, digital time and date stamped guard tours, even photos and audio recordings from the tour. This ensures you get a clean and concise report with every officer’s shift. Our reports are also savable and printable for your records. Centurion Security services are quickly identifiable by our highly visible fleet of professional vehicles. Using only newer models, our fleet remains in tip top shape offering an official and professional image at all times. Statistics show that having a very visible security presence dramatically reduces criminal and other unwanted behaviors. All of our vehicles are equipped with 1st aid, safety and 1st responder equipment. Safety Is Our First Priority. When you are deciding on a security contractor, it is important to look for a professional company that has a proven track record of stability, safety and success. Centurion Security has an A+ safety rating from the top insurance carriers in the nation. We understand that internal investigations may be needed from time to time. These issues must be handled with complete confidentiality. Centurion houses one of the oldest and largest private investigation firms in the state. Specializing in corporate investigations, workers compensation claims, undercover surveillance, national database searches, background checks and a complete computer forensics team, we offer a full spectrum of investigative services to our clients. Our investigative firm is known and licensed in multiple states throughout the nation. It’s like having your own team of in house investigators at your fingertips. Call us today to see how we can help. Did you know that for the past decade, Centurion Security continues to show record growth and expansion year after year? We receive more new contracts through our clientele’s word of mouth referrals than by any other means. By listening to our clients’ needs and providing a reliable service they can trust, we continue to show record growth by providing a valuable trusted security service. 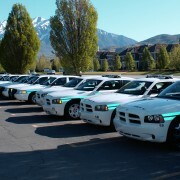 Call us today and see why we are one of Utah’s fastest growing contract security companies.